One of the biggest challenges of bike racing, either for triathlon or time trialing, is predicting the race course and race day condition demands, and how well an athlete can meet them to perform at their best. In most triathlons the bike portion is nearly 50 percent of the race time, or more, meaning it is one of the biggest determinants of the race. Athletes must get the pacing right to have the run they are capable of. In time trialing and triathlon both, as the competition gets stiffer the margin for error gets smaller and smaller. 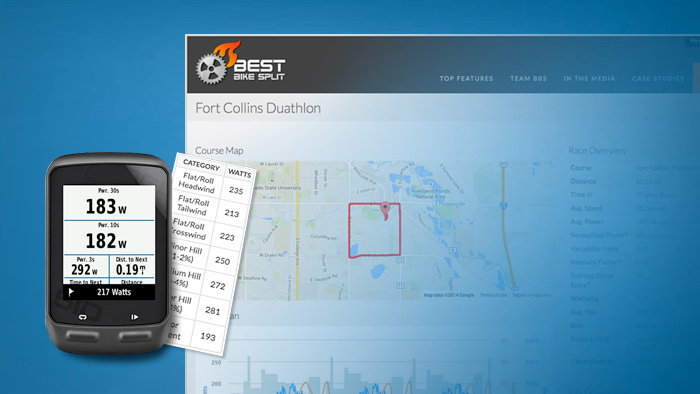 Best Bike Split was created to allow coaches and athletes to accurately predict a goal time and wattage, plan power targets for optimal training, and create a detailed race day plan. There are different ways of approaching a race plan for a triathlon or time trial. From trying to hit a specific power output overall, or a specific TSS range, or even riding different parts of the course with varying power according to the terrain, or even the wind conditions. Best Bike Split allows athletes to take data from their training and racing to better determine which power output will yield the best performance overall, over each specific course they will race. Another feature is Race Plan Comparison. Here athletes and coaches can compare multiple race plans to determine the pacing differences of mixed outputs on the different parts of the course terrains, or with different equipment, and how a certain target time plan might compare with a plan for a specific TSS score. Perhaps the best part of the software isn’t even the theoretical planning tools based on training and racing. Best Bike Split also supports the execution of a race plan on race day. Athletes can either print out cheat sheets that give the athlete suggested power numbers when riding under different conditions like flat with headwind, flat with tailwind, etc. or they can have them sent directly to their Garmin device. This allows an athlete to more effectively hit the goal numbers of the race plan. Just a few weeks ago it was announced that TrainingPeaks had acquired Best Bike Split. While there is no current integration between the two platforms, there will be in the future. For now, coaches can still utilize this amazing tool as the perfect companion product to TrainingPeaks. Think of it as track, analyze, plan and now predict. If you’re looking to take the data from training and racing to the next level, and use it to maximize performance, you should be excited to start using Best Bike Split.